We're a small family run custom Ukulele Design Build Shop. 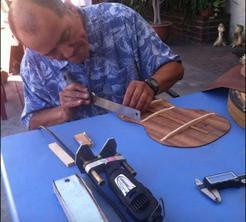 We build custom Ukulele's and you can too! 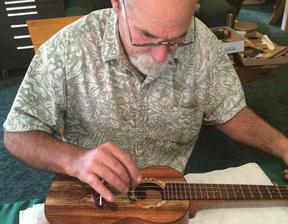 Here at Brothers Ukes you can come take a class and build your own Custom Ukulele. We stock exotic woods and have a full shop with lots of state of the art equipment and we will work with you every step of the way. We have a lot of fun here, which means our students are happy and get to learn a new craft too. We also wanted you to know that you’re really important to us, because we couldn’t be in business without you. We have a lot to offer. Our home shop and exotic woods make us a true family business we offer: (Father son/daughter, Husband and wife or even group classes). You’re always welcome here. Come in and chat with us. We’re really looking forward to it. Come to a class, build a Ukulele and become our Brother or Sister too.